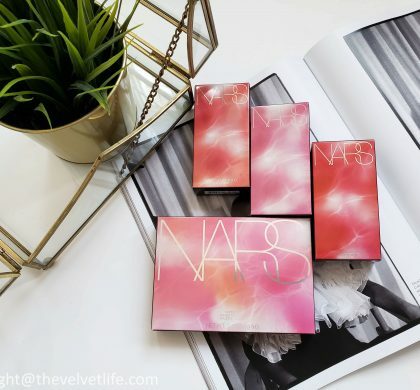 Nars Cosmetics has been one of my favorite brands, I have reviewed products from this brand in the past here and on my social handles. 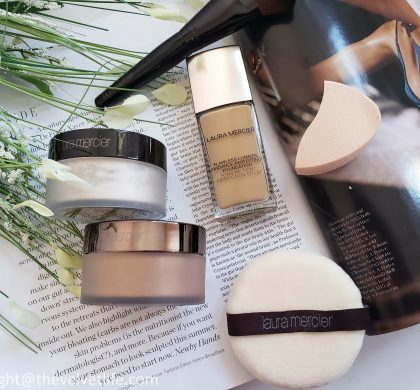 Who does not loves a glowy and radiant face, and I was so excited when this foundation launched this year. 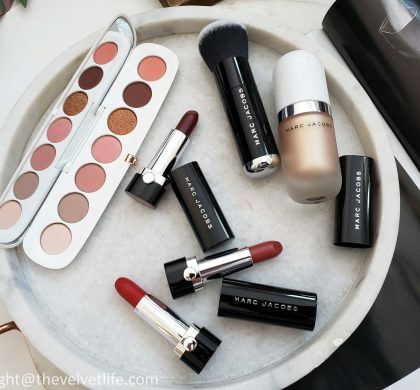 In a foundation, what I look for is how it blends into my skin, if it oxidizes or not, does it makes my imperfections more prominent, like instead of covering the areas it may emphasize them, if the color matches my skin tone, and last but not the least, I love a dewy finish, not oily but radiant healthy glow. 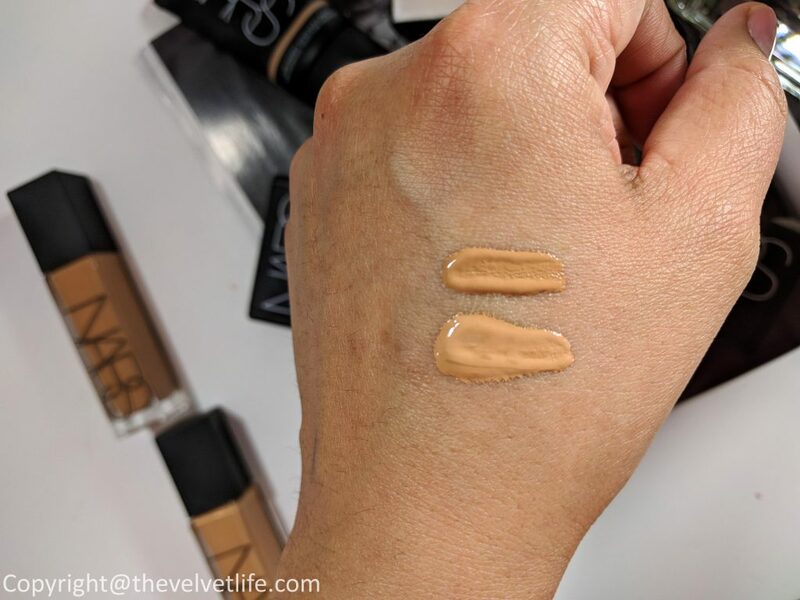 I have been using Nars Natural Radiant Longwear Foundation since last few weeks to test it and here with my thoughts now. 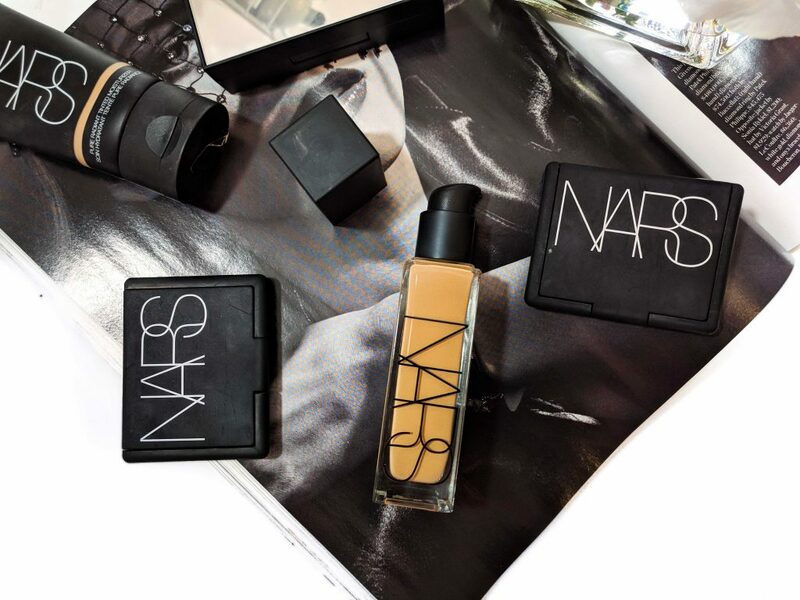 Nars Cosmetics describes the Natural Radiant Longwear Foundation (CAD $60) as its first 16-hour fade-resistant foundation with full-powered radiance. It is medium to full coverage stays vibrant and fresh during the day. The staying power is enhanced by a patent technology that delivers a uniquely weightless texture with superior blendability for an imperceptible effect that looks like skin. The foundation is formulated to improve skin hour by hour with skin optimizing complex which is a blend of raspberry, apple, and watermelon extracts that helps support skin’s elastic fibers to smooth and improve skin texture, while specialized pigments recognize and fuse with the skin for the closest match. It is available in 33 skin-matching shades, ranging from deep espresso to the fairest tones. 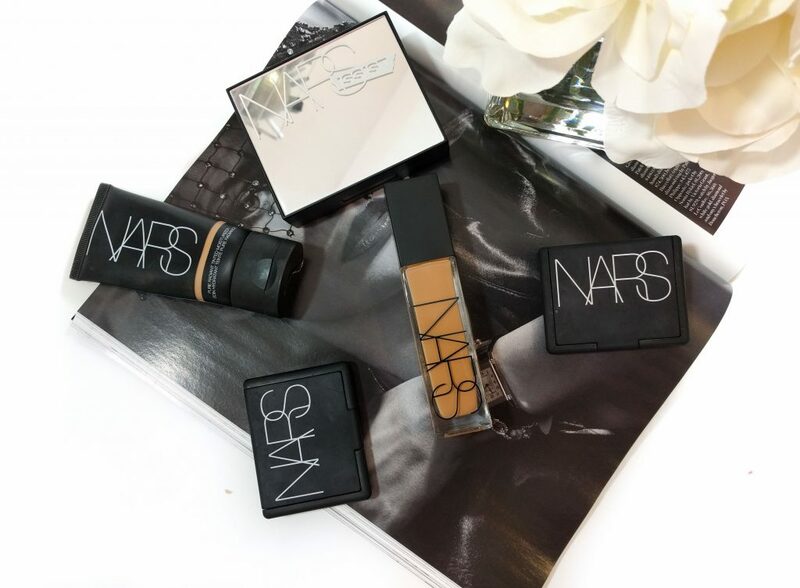 Nars Natural Radiant Longwear Foundation is a medium to full coverage foundation, which is easily buildable. 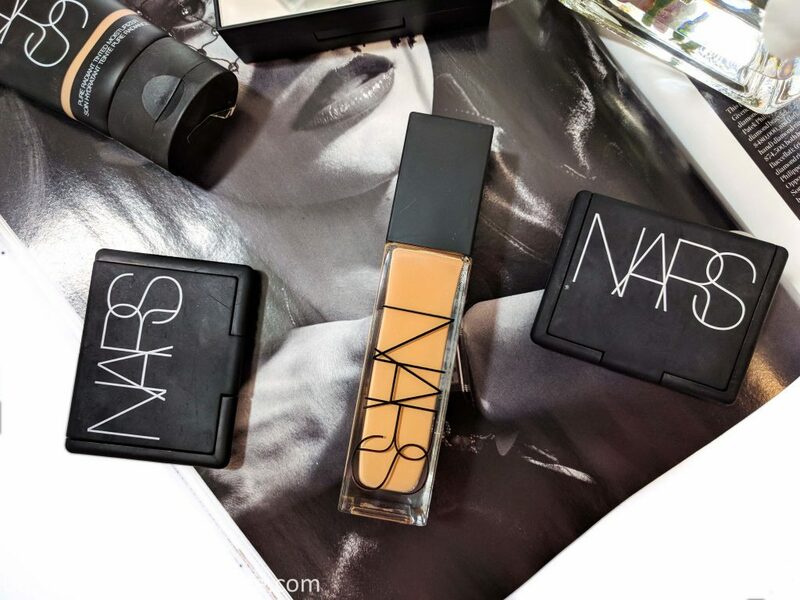 The formula is opaque and a little, pearl size is all that is needed for full coverage. I use a primer to smooth out the base and then apply this foundation with my brush or beauty blender. It blends very easily into the skin, giving a very natural, radiant, and luminous finish. I did tend to pump out extra product sometimes and I have noticed, if I apply a little extra, it starts to emphasize my dry areas or start clinging to them. So the best way is to exfoliate my face while doing my skincare routine and then follow the normal foundation routine. I am really impressed with the staying power of this foundation, it stays on very well for 12 hours or more. It is not transfer-proof if I am not setting it with a powder or setting spray. Even after using a setting powder or spray, there is a little bit of transfer, but that is normal with other foundations I have tried. I did not notice any oxidation during the day and the pictures from the camera and flash looked very natural with this one. One more thing I want to mention is that it did cover my spots and pigmentation, which is why I did not feel the need to use a concealer. The packaging of the foundation is in a heavy glass bottle with a pump, which looks very classic and chic. My skin tone is medium tan with golden undertones and I was matched Syracuse and Barcelona. Overall, I am really loving the natural, radiant, and glowy finish which is what I prefer and like. A little is all I need to use for my full face and I do not feel the need of using a concealer. I usually do not follow with a loose powder to set as I prefer radiant finish on my face. At the end of the day, it is a little more dewy around my forehead and nose area, for which I retouch with a pressed powder on the go. I have combination skin for our reference and it did not irritate or had my skin break out. Another good thing is the shade range with different undertones to suit a wide range of skin colors. So, all in all, a product worth checking out. 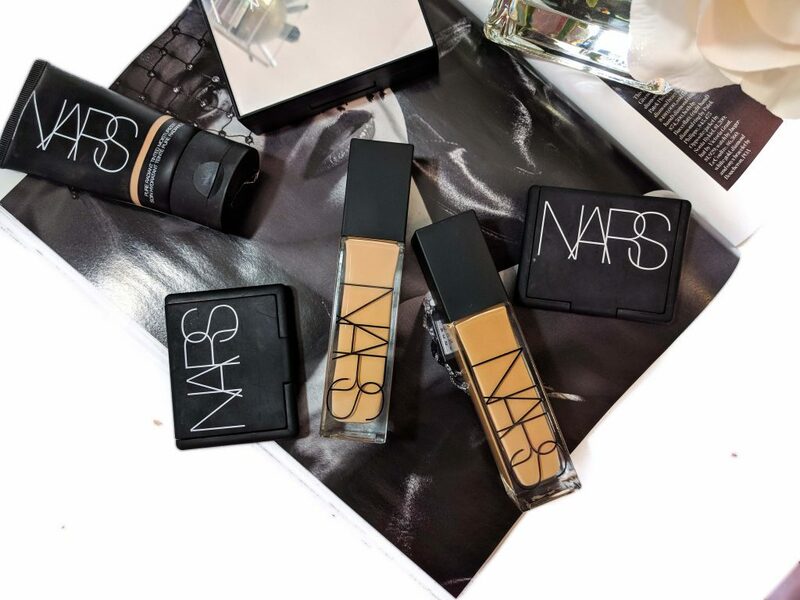 Nars Natural Radiant Longwear Foundation is available at Sephora, Sephora Canada, Hudson’s Bay, Lookfantastic, House of Fraser, Nordstrom, Saks, and Neiman Marcus.